An exclusive Top of the World compilation CD and track downloads with every issue, featuring the best tracks from around the world, including a celebrity playlist. 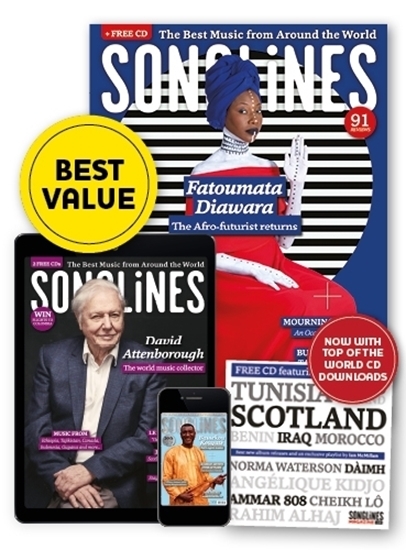 *The app version of the magazine is available for iPhone and iPad via the Songlines app or via your web browser. For other devices you will get access via the Exactly app where available. Price includes P&P for orders within the UK. International orders will be charged shipping costs.